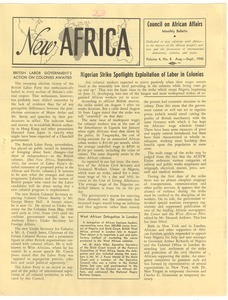 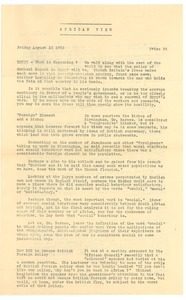 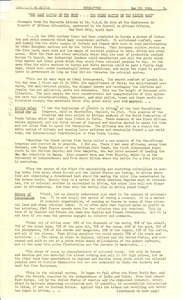 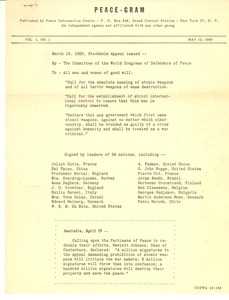 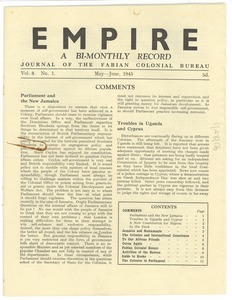 London (England) - Volume 8, Number 1 of the Bureau's journal, featuring news and editorials on "Parliament and the New Jamaica," "The Colonies and International Conscience," and "Cocoa Again,"; making brief mention of the United Nations Conference at San Francisco; reviewing recent relevant publications; and summarizing parliamentary proceedings on British colonies. 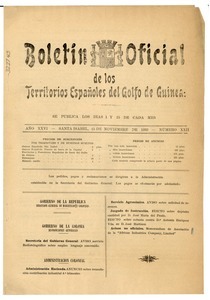 Spain - Comprised of official and unofficial notices by the Spanish government of their territories in the Golf of Guinea; discusses land transfers, a memorandum by the African Industries Company on trade in Liberia. 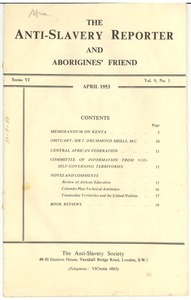 London (England) - Containing articles on Kenya, the Central African Federation, the Committee of Information from Non-Self-Governing Territories, and some book reviews. 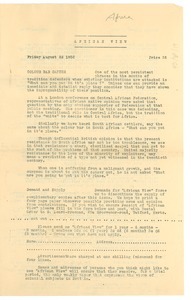 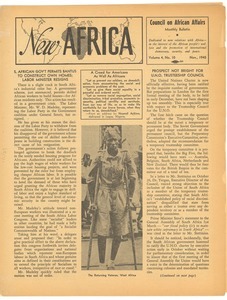 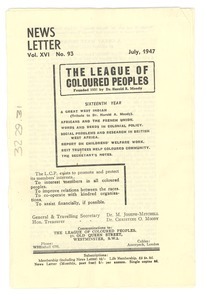 London (England) - The July edition of the League's monthly newsletter, featuring a tribute to founder Harold A. Moody, and content on "Africans and the French Union," "Words and Deeds in Colonial Policy," various other articles, and organizational notes by the secretary.